Obituary for Rev. Thomas A. Blackburn Sr. | Timothy A. Berkebile Funeral Home Inc.
Rev. 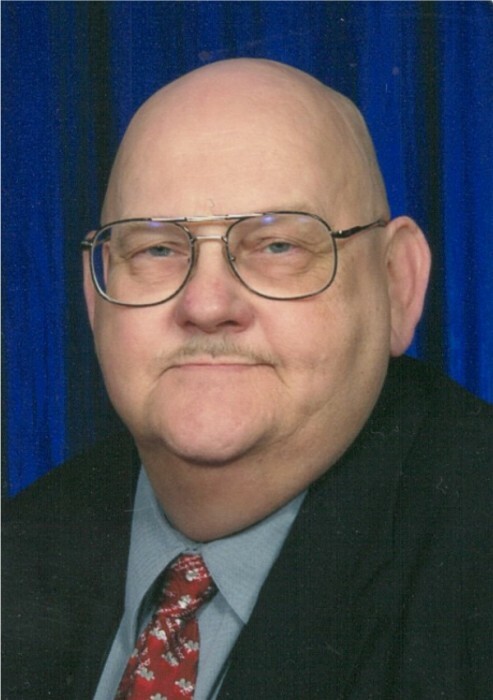 Thomas A. Blackburn Sr. 72, of Bedford, went to his heavenly home on Tuesday, February 12, 2019 at his residence. He was born on April 1, 1945 in Lovely, a son of the late Orville and Alma Ruth (Imler) Blackburn. On July 12, 1986 in Biloxi, MS he married Joy (Newbaker) Blackburn who survives along with the following family: three sons: Tommy Blackburn and wife Nicole, of Pascagoula, MS, Billy Blackburn and wife Angela, of Gautier, MS, and Nick Blackburn and wife Gwen, of Joliet, IL; two daughters: Karen Anderson, of Pascagoula, MS, and Jeannie Hofstetter, of Gautier, MS; four step-sons: Harold Scruggs and wife Trisha, of Gautier, MS, Chris Scruggs and wife Sonya, of Gautier, MS, Scott Scruggs and wife Lisa of Ocean Springs, MS; and Larry Sadler, and wife Jessica, of Apollo; two step-daughters: Laura Tholen and husband Brian, of Hollidaysburg, and Pam Baker and husband Jim, of Centerville; 34 grandchildren: Taylor, Phillip, Ellis, Thatcher, Paige, Josiah, Levi, Caleb, Timothy, Hunter, Stonewall, Kristen, Jherica, Brandon, Dalton, Layla, Danielle, Harold Jr., Brittany, Brett, Allison, Matt, Brian, Ashley, Amber, Aaron, Jessica, Joey, Noah, Jenna, Noah, Preston, Jonathan, and Landan; 16 great-grandchildren: Kieran, Stella, Keagan, Kallissa, Christopher, Conner, Cole, Hazel, Camila, Colton, Hadlea, Kylie, Zooey, Liam, Evelyn Joy, and Laila; and two brothers: Joe Blackburn widower of Faye, of Ryot, Sam Blackburn and wife Joyce, of Fishertown. He was preceded in death by two grandsons: Silas Boaz Blackburn, and Jimmy Baker; a brother, James R. Blackburn, and a sister, Orpha Ruth Klotz. Thomas was 1964 graduate of Chestnut Ridge High School, and went on to serve in the United States Army. He worked as a structural welder in the ship yards and then drove truck becoming an owner-operator. He then found his calling and became a Methodist Pastor through the Johnstown District of the United Methodist Church and served at the following churches: Wilmore-Lily, Espyville, Cresson, Gallitzin, Ambry, and was currently serving at the New Paris United Methodist Church. Thomas enjoyed camping, fishing, playing cards, hunting, and was a family man. He enjoyed serving his church families, bible studies, and spreading the word of God. Funeral services will be held on Friday, February 15, 2019 at 10:30 a.m., in the Chapel at the Timothy A. Berkebile Funeral Home, in Bedford with Jim Miller officiating. Burial at St. Thomas Catholic Cemetery. Friends will be received on Thursday, from 2-4 and 6-8 p.m., at the funeral home and 1 hour prior to the service on Friday. In lieu of flowers those wishing may make memorial contribution’s in Thomas’s name to: New Paris United Methodist Church, P.O. Box 347 New Paris, PA 15554. Our online guestbook is available at www.berkebilefuneralhome.com.